Explore the North Island on this 9 day taster tour. In Rotorua you'll be introduced to Maori culture through an informative and tasty discovery of traditional cuisine. Journey to the beautiful Hawke's Bay, home to New Zealand's oldest vineyards, and take some time to discover the regions excellent wineries during the day, in the evening enjoy delicious dinners with paired wine tastings. From Napier, travel south to Martinborough, a hidden gem within New Zealand's food and wine scene, and sample the range of delicious artisan delights on offer. Finish up your tour in the capital city of Wellington, a hub for foodies and the best place to experience New Zealand's famous cafe culture. 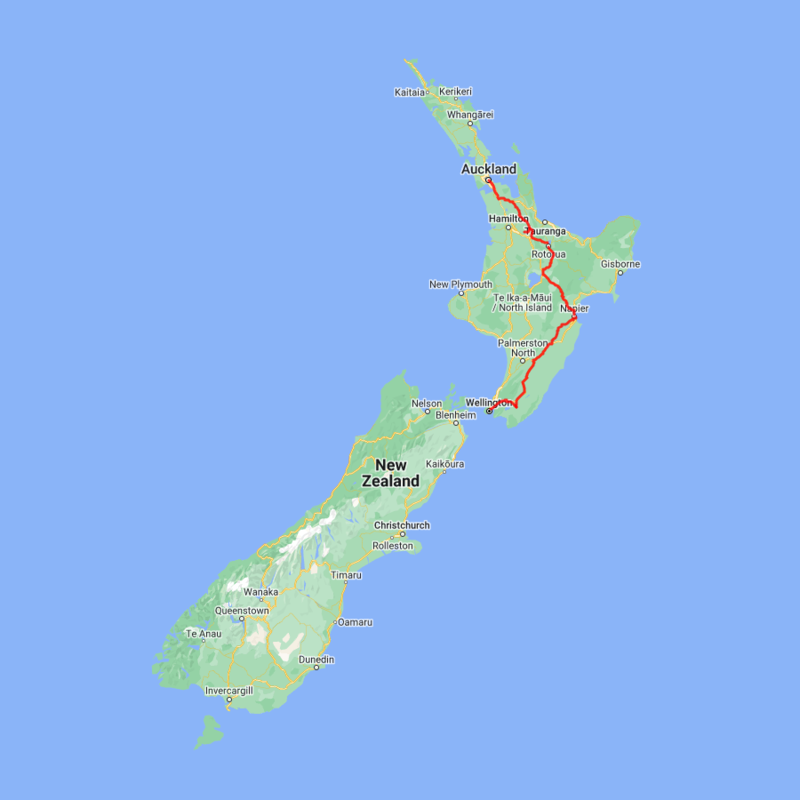 You can expect to spend around NZ$115 in fuel cost on this itinerary based on an intermediate sized car.